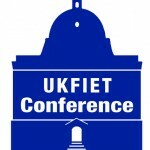 Only a month left until the UKFIET International Conference on Education and Development. Starting this week on the CoP, we will be previewing some of the conference Sub-themes so you know what there is to look forward to. Steve Packer and I are jointly convening the Sub-theme Reflecting on global agendas, international targets and goals: Lessons learned. The international community, most notably through the United Nations, is engaged in detailed global, regional and national discussions on the form and the shape of post 2015 development frameworks. New and/or amended goals and targets are being formulated. Work on specific themes including education is well underway. To date there is relatively little evidence that lesson learning from the past 13 years since 2000 (and earlier) is strongly informing post 2015 planning, whether in education or more broadly. Has global targetry made a difference? What have we learned from the origins, construction and evolution of global education agendas, targets, campaigns, movements, and partnerships? Is the reductionist nature of global targetry virtuous or constraining? How have global targets been used and interpreted in diverse national and sub-national contexts? In other words, is the determination to look ahead sufficiently informed by understanding the past? What political agendas have underpinned the framing of global education frameworks and targets? How do global education targets and goals influence policy makers, practitioners, and other stakeholders in the education sector in low income countries? How do and can individual countries connect with global targets? Is it possible to assess the impact of global frameworks in education? Is there a counterfactual to enable an assessment of their worth? Is it possible to develop new types of forums and campaigns that lessen the constraints of traditional bargaining processes? We have three sessions in store at the conference, featuring the research and reflections about the recent decades of educational development and lessons which can help us as we move beyond 2015. The first session will reflect on policy actors and aid modalities. The second will feature lesson learning from African countries, and third will be about lesson learning from the Caribbean and the Pacific. We hope you will join us at the conference, but don’t wait until then to begin the conversation. Leave your immediate reactions below as comments.